with the extraordinary buyers who will cherish them as we do”. With years of experience helping buyers and sellers, Suzie locates homes that reflect your lifestyle… and her powerful negotiating skills, will ensure that (1) as a seller, you will keep the equity that you’ve earned and (2) as a buyer, you will leave no money on the table. Aware that knowing the latest market conditions, government regulations, and upcoming real estate developments is her job, Suzie is continually attending informational events and real estate courses -- so that you don't have to be the expert. Selling a home on your own can be overwhelming. With Keller Williams sophisticated and unmatched marketing plans, you can relax knowing you are in good hands. Suzie arrives early to showing appointments to be sure that your home is presented at its very best. She’ll turn on the lights, put on soft music, open the blinds and let the natural lighting flow in and even make the beds if necessary to ensure that when a potential buyer visits your home, they’ll see it at its best. And when they’re done, Suzie will find out if they can see themselves living in your home and if it’s a possibility, she’ll ask them to write an offer on your home right then. You can have complete confidence in Bindi’s skill at negotiating on your behalf. With over 25 years of real esate esperience and nearly 1,000 transactions in her resume, Suzie has the skills that mean more money for you. The Bindi Team will schedule all buyer inspection appointments, and handle all contract contingencies timely as well as manage the extensive amount of paperwork involved in today’s real estate transaction. Focus on the many things that you have that you need do, and put the sale of your home in the hands of the best seasoned professional, Suzie Bindi. providing a complete market analysis and together you’ll arrive at the best amount to list your home for wit her experienced guidance. provide home staging advice as appropriate. suggesting landscaping changes that will help draw buyers in. advertusubg your home locally, nationally and globally!!! Suzie will be there for you throughout the entire selling process, and to make sure that your real estate transaction is a positive and profitable experience. If you're ready to sell your home, contact Suzie Bindi now at (949) 351-3899 or sbindi@homgroup.com directly! As your Buyer's Representative, Bindi will preview homes for you and simply put will make the process of house hunting more relaxing and enjoyable. You will accomplish your home goals more efficiently when Bindi’s got your back! The Bindi Team can help you find financing and your price point, guide you through Orange County communities, and help you prioritize the most important amenities that you want in your new home. Bindi will understand quickly your top priorities and then only show you the most promising homes to match your lifestyle. Once you've found that home that reflects your unique style, Bindi will get right back to work analyzing the value to ensure that you get the best value for that perfect home. Bindi will write your offer and negotiate price and terms that are most favorable for you. Bindi provides you with her experienced buyer services at no cost to you. If you're ready to start a little home research, go to search real estate listings and see what’s available that meets your needs.. To start working with Bindi right now, call her at (949) 351-3899. When you are buying or selling property in today's real estate market, it's important to have confidence in your real estate professional. Our commitment as your home team is to provide you with the individualized real estate service you deserve. We combine our personalized real estate expertise with the power of today’s technology to better serve home buyers and sellers. We can save you time and money. Our focus is to exceed your expectations for comprehensive, personalized real estate services. We insure that you receive the most progressive range of services available today. At no time will you ever feel any pressure to buy a home. As coastal Orange County experts with knowledge of our communities, we are your partners in achieving your goal. Bindi communicates clearly and will be sure you are aware of any news that impacts that value of your home. With property values continuing to rise, real estate is a sound investment for now and for the future. With nearly 1,000 transactions completed, agent Suzanne (Suzie) Bindi enthusiastically shares her knowledge with clients in Orange County and throughout the Keller Williams distinguished international network. 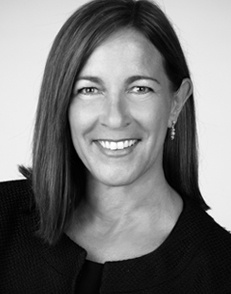 Her understanding of the region’s opportunities – as well as her experiences in residential developments, escrow and lending practices, and the purchase and sale of primary residences and personal investments – enables Bindi to confidently guide clients with the exceptional service that’s been her hallmark throughout 25 years in the industry. A native of southern California, she’s also an active supporter of arts education and currently serves as president of the South Orange County School of the Arts Foundation. Bindi studied real estate, business and mathematics at the University of California Los Angeles and University of California Irvine campuses and is passionate about the coastal lifestyle and amenities. Mr Budde is the Branch Manager at PrimeLending, and ranks as one of the most tenured finance professionals in Orange County. Kevin is ready to assist our clients with all of their lending needs. His is committed understanding a borrowers needs and to help find solutions that will match up with their priorities, goals, and future. A home is where you establish your roots, and Kevin wants to ensure they grow deep and wide offering stability and strength for years to come. As a national mortgage lender, PrimeLending has nearly three decades of lending experience and offers loans in 49 states. Dianna has been an escrow professional for over 30 years. She handles escrow transactions including: sales, refinances, 1031 exchanges and has managed branch offices. 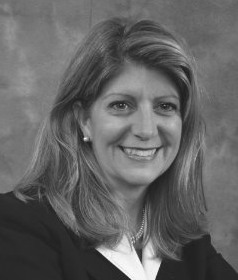 She has been active in the California Escrow Association and earned her Profession Designation Certificate as a Certified Escrow Officer in 1987. During her career journey, she has worked mainly in Laguna Beach, California (26 years). Dianna has handled escrows for title companies, independent escrow companies and the department of real estate. Great costumer service skills come with experience. Having a long term relationship with repeat clients is a sign of her knowledge and making the escrow experience of buying or selling a home as pleasant as possible. Steven is an Account Manager with Title365 - a premier provider of title insurance and escrow services. Steven has a keen understanding of local markets, title insurance, and years of experience within the real estate industry. Mr Thomas and Title365 are dedicated to providing our clients with an unparalleled professional expertise and outstanding customer service. Title365 uniquely offers a centralized, more efficient alternative to national companies, resulting in unmatched turnaround & accuracy. Mr. Bindi is licensed Commercial Broker and Associate with KW Commercial where he specializes in Multi-Family sales and advisory services throughout the greater Southern California area. Mr. Bindi's extensive real estate experience spans residential home development, Multi-Family investments, management and sales, Mobile Home Park investments and Marketing. 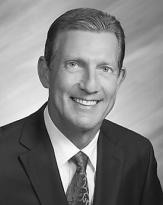 Mr. Bindi has over 25 years of real estate experience and holds a California Broker License. His past education includes a B.S. degree from University of Missouri, and a Masters of Science degree from Purdue Unversity. Visit his commercial website for more information about SoCal Multi-Family properties. Ms. Kwong has completed more than 500 transaction coordination closings for Ms. Bindi and other Realtors throughout Orange County. Alice's attention to detail and dedication helps to assure that all of our transactions close on time, and disclosure documents are thoroughly reviewed for completion. Here support and professionalism is an important part of our teams success.